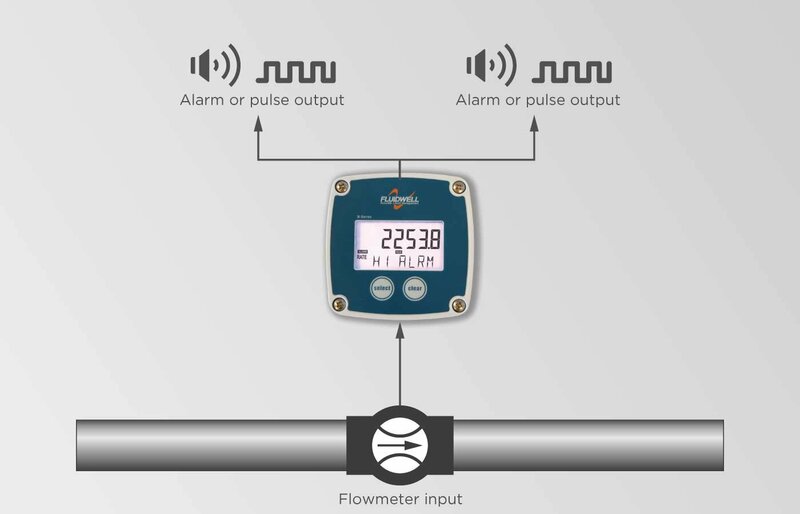 The B-Alert is a flow rate indicator and totalizer with continuous flow rate monitoring feature. It offers the facility to set one low flow rate and one high flow rate alarm value. 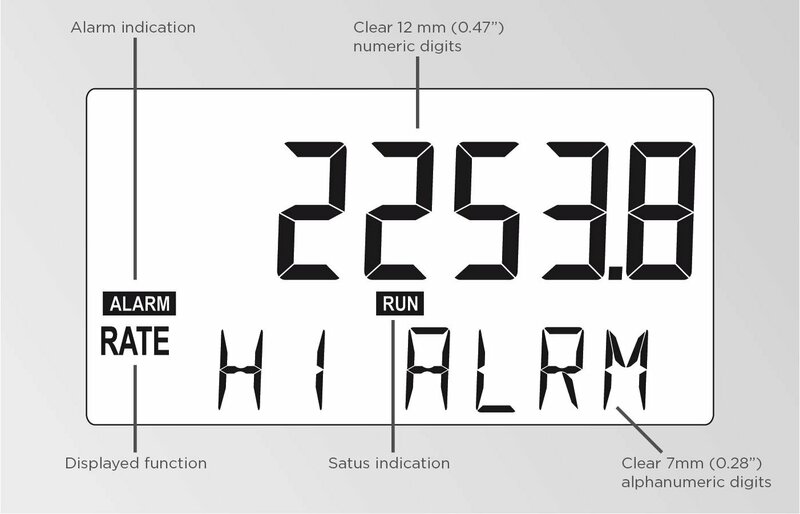 The display shows flow rate, total, accumulated total and alarm messages. On-screen engineering units are easily configured from a comprehensive selection. 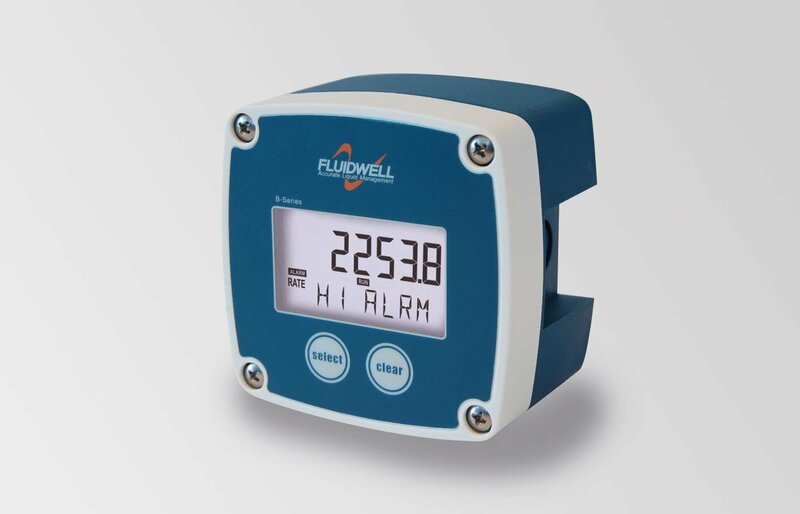 Displays instantaneous flow rate, total, accumulated total and alarm messages. Basic flow rate monitoring with a precise calculation over the full measurement range, where re-transmission of the totalizer and monitoring of the flow rate function is required. Function: Two configurable pulse outputs according to accumulated total (e.g. a pulse every 3.25 gallons). Frequency: User definable 100Hz (5msec) or 5Hz (100msec). Type: Two passive transistor output (NPN) - not isolated. Function: Two configurable alarm outputs for low or high flow rate alarms.